There is a plethora of information published about our world, man's adverse impact on the planet, and what should be done to save Earth. No doubt as our species continues to advance, our expansion and incursion into the remaining pristine corners of our planet will accelerate as we seek illusory security through the treasures the earth can yield to us. However, unlike our planet, our lifespan is akin to that of a flea, and like a dog with an itch, we will voluntarily or involuntarily be cast off. This perspective was best expressed by Dr. Iain Stewart's in the 2009 BBC program titled "Earth: The Power of the Planet." Dr. Stewart stated "in the long run, earth can cope with anything we can throw at it. We could clear all the jungles, but a jungle can regrow over a few thousand years. We could burn all earths’ fossil fuels, flooding the atmosphere with carbon dioxide but even then, it will take the planet only a million years or so for the atmosphere to recover. Even the animals we are wiping out will eventually be replaced by others equally rich in diversity as a relentless work of evolution continues. It’s only a question of time; the earth will be just fine. It’s not to say rapid changes we force on earth don’t matter. Humans operate on a different time scale and we have evolved to life in a world as it is now, so in changing this world we are altering the environment that has allowed the human race to thrive thereby creating conditions that threaten that long-term survival of our civilization. So all this stuff about saving planet earth, well that is not the problem: planet earth doesn’t need saving, earth is a great survivor. It’s not the planet we should be worrying about, it’s us." 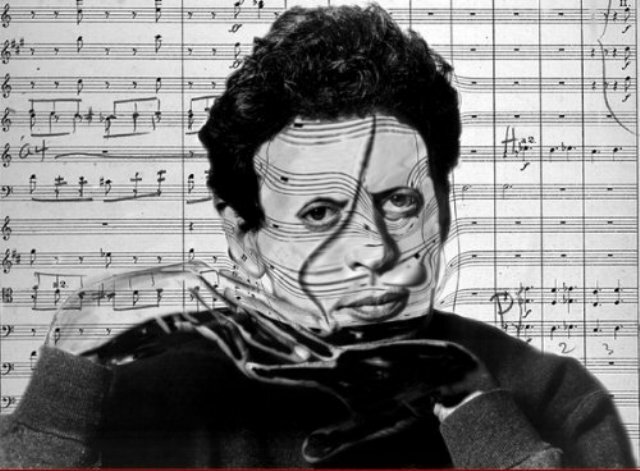 Not withstanding that powerful sentiment, this post is tangentially about environmental issues, but primarily about the brilliant, contemporary composers Armand Amar and Philip Glass. Both of these composers possess unparalleled skills in weaving together the unique voices, languages and cultures of people around the world to tell compelling stories through film scores. I was first introduced to the music of Philip Glass in the 1983 film "Koyaanisqatsi: Life out of Balance" written by Godfrey Reggio. Though produced over a quarter of a century ago, this film remains relevant and in fact prognosticated the future we now inhabit. Like the prophets of old, human beings are so preoccupied with the business of living we fail to pay heed to warnings of change. Change can either be good or bad, however, in general human beings thrive on routine and hate uncertainty, thus I believe this is the reason these type of documentaries continue to be made and enjoy wide appeal. These films and particularly the scores help us to dream of our better selves though we continue to somnambulate through our waking hours. Watch trailer below. Philip Glass' music underscores the futility of the subject matter as portrayed by a director who seems to have chosen to make the film from a unique vantage point of the Native Americans. Specifically, the Hopi Indians and their language from which the title was derived. America was a far different place before the incursion of the Europeans and one can only imagine from the perspective of the Hopi and other indigenous nations, that their arrival heralded a gargantuan shift in their reality as their world was turned upside down. Armand Amar scored some of my favorite movies such as "Live and Become," "Blame it on Fidel," and " a documentary directed by Yann Arthus-Bertrand, for which he won the "Best original score for a documentary feature" at "Excellence in Scoring 2009" by The International Film Music Critics Association (IFMCA). In lieu of the repetitive notes that drove home the message in Koyaanisqatsi and provided the harsh reality of post-war industrialism on the precipice of the age of technology; Amar employs the voice with equal success. As in his other works, he uses the voice to transport the audience into an extrasensory realm by judiciously orchestrating atavistic and primeval sounds to which we are all attuned. Like the beating of our mother's heart in-utero, our memories of this and other rhythms are ever-present down at a cellular level, but are often sublimated. In "Home," we bear witness to the vagaries of greed, stasis, and apathy. We are given approximately 10 years to voluntarily rectify our behavior before we are forced to do so by environmental catastrophes. Amar's use of Asian and Middle Eastern tonalities and phrasing is pleasantly emotive but contains overtones of peril. For individuals who have not been exposed to Philip Glass' minimalist style or who are unfamiliar with that movement the stridency of his soundtrack can be challenging though it is perfectly suited to the imagery of the film. Armand Amar's film score makes this tough subject of environmentalism at once engaging, relevant and energized me to participate in the solution. His obvious respect for the values of other cultures, the way in which he embraces diversity, his mastery in mining the fecundity of cultural musical expressions to weave into hauntingly visceral scores, makes him one of the most important composers of our generation. I hope this post will inspire you to watch all of the films referenced and to learn more about each composer and their past and present projects.